That startup which we call ProfessorWord by any other name would be … just as sweet? 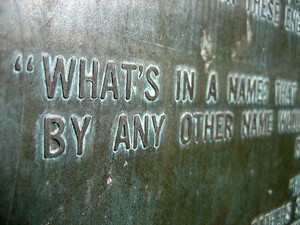 Despite what Shakespeare said, names are important, especially in the startup world. Mostly because if you pick the wrong name for your startup, it could cost you. Let me explain. When we were naming ProfessorWord, our goal was to find something that was descriptive (i.e., told people what we did) and memorable, with bonus points if it was also distinctive, unique, and catchy. brainstorm names → come up with a CoolStartupName → register the domain name CoolStartupName.com → apply for a trademark → wohoo! you’re set! Exhausted, yet? 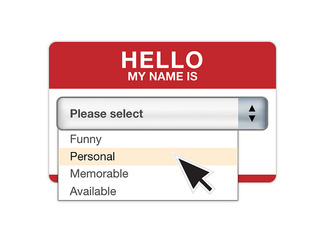 Finding an available startup name in 2014 is tough work. And it’s important to remember that just because you can get a domain name, doesn’t mean you’re in the clear to use the name. You want to make sure there isn’t already somebody out there using the name, or a variation of the name, for a similar purpose. Unfortunately, a friend of mine learned this the hard way. He spent a year launching his startup under one name, quite successfully with sales and a strong social media following, when he was slapped with a cease-and-desist letter. I’m keeping this anonymous, but let’s just say his site was GetCoolStartupName.co while the other guy was CoolStartupNameApp.com. The other startup put up a landing page first (by a few weeks), and per U.S. common law trademark rights, the person who uses a name first for commercial purposes typically can claim trademark rights to the name. Don’t quote me on that. I am not a lawyer. See the USPTO site for details. My friend wasn’t sure if he had a case, which made him reluctant to spend money he didn’t have on lawyers to try to dispute the cease-and-desist. End result? He decided that his best option was just to rebrand and rebuild. That was a pretty awful experience, one you want to avoid if you can. Doing due diligence can help. It’s not guaranteed (my friend did research many variations of his startup name before he launched but just somehow missed this other company), but you want to try your best to make sure your desired startup name is available and yours to use. See here and here for tips on how to vet your startup name. So back to ProfessorWord. Even though it wasn’t the catchiest name we came up with, it was sufficiently descriptive, hopefully memorable, and most importantly, available! And we think it’s pretty cool.